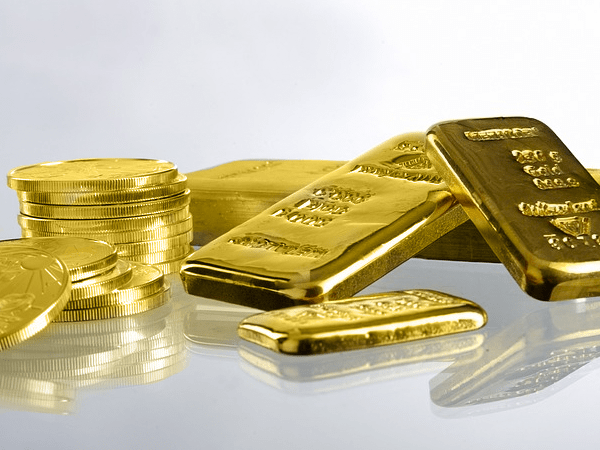 How Will Gold Prices Behave During Economic Crisis? Home » How Will Gold Prices Behave During Economic Crisis? It is generally well known in economic circles and in the general public that precious metals, including gold, tend to be the go-to investment during times of fiscal uncertainty. There is a good reason for this. Precious metals have foundation qualities that provide trade stability; these include inherent rarity (rather than artificially engineered rarity such as that associated with cryptocurrencies), tangibility (you can hold gold in your hand, and it is relatively difficult to destroy), and precious metals are easy to trade. Unless you are attempting to make transactions overseas, or in denominations of billions of dollars, precious metals are the most versatile, tangible trading platform in existence. There are some limitations to metals, but the most commonly parroted criticisms of gold are generally incorrect. For example, consider the argument that the limited quantities of gold and silver stifle liquidity and create a trade environment where almost no one has currency to trade because so few people can get their hands on precious metals. This is a naive notion built upon a logical fallacy. Gold backed paper currencies existed for centuries in tandem with the metals trade. Liquidity was rarely an issue, and when such events did occur, they were short lived. In fact, the last great liquidity crisis occurred in 1914, the same year the Federal Reserve began operations and the same year that WWI started. This crisis was, as always, practically fabricated by central banks around the world. Benjamin Strong, the head of the New York Fed in 1914 and an agent of the JP Morgan syndicate, had interfered with the normal operations of gold flows into the U.S. and thus sabotaged the natural functions of the gold standard. Central banks in Germany, France and England also applied influence to disrupt currency and gold flows, causing a global panic. This engineered disruption seemed to take place through conscious co-operation between central banks. Does any of this sound familiar? For those who are interested, the history of the 1914 liquidity crisis is outlined in detail in the book ‘Lords Of Finance: The Bankers Who Broke The World’, by Liaquat Ahamed. When gold and currency are tied together, gold prices tend to remain rather stable, as they are often set by the national treasury. In 1914, the price of gold was $20 per ounce and had maintained that approximate value for decades. To give some perspective on value, in 1914 the average house cost $3,500, or 175 ounces of gold. But what happens when gold and national currencies become disjointed from each other? Take a look at the hyperinflationary crisis in Weimar Germany. The price of gold per ounce went from 170 marks to 87 trillion marks only five year later! Over that same five year period, gold value in Germany had increased at almost TWICE the rate of inflation, indicating that gold not only kept up with the devaluing mark, but made anyone holding gold rather rich in the process. This is a very important fact. The common argument against gold is that gold is not really a wealth creating investment, but merely protects your buying power. As the Weimar crisis shows, this is not always the case. In some circumstances, often during times of economic disaster, precious metals can in fact generate more wealth than what you put into them. Then there is the issue of government interference in gold markets and trade during crisis. As the Great Depression in the U.S. began to take hold, investors turned aggressively to gold and silver as a means to offset the crashing values of most other assets. In a highly controversial move in 1933, President Roosevelt outlawed the private ownership of gold bullion and set the price of gold at $35 per ounce. Keynesian economists like Ben Bernanke often try to assert that the gold standard was the reason why interest rates had to be hiked as the depression was escalating, and that this was the cause of a greater crash. They are only half correct. Increased rates did indeed cause a larger and more prolonged crisis, but this had little to do with the gold standard. Clearly, in 2008 the U.S. and most of the world was NOT on a gold standard, yet we suffered a very similar collapse in credit and equities as happened in the Great Depression. Also, there is no gold standard forcing the Federal Reserve to raise interest rates today, yet they are doing so. Whether or not this will cause an even more violent economic catastrophe remains to be seen, but Jerome Powell, the new Fed Chairman himself, warned in 2012 that this is exactly what could happen. Jerome Powell has stated in no uncertain terms that rate hikes will continue under his watch in 2018. Central banks were the core institutions to blame for the Great Depression, not the gold standard, considering the fact that central banks did NOT follow a true classical gold standard exchange internationally, and instead tried to establish a global basket exchange system of multiple currencies and gold in what they called the “gold exchange standard”. “In short, according to Friedman and Schwartz, because of institutional changes and misguided doctrines, the banking panics of the Great Contraction were much more severe and widespread than would have normally occurred during a downturn. The use of gold prohibition had mixed results. Obviously, it did not stop the freight train of the Great Depression. In fact it probably exacerbated difficulties in trade and savings. Black markets took over and precious metals were still highly sought after. As far as the crash of 2008 is concerned (a crash which is still ongoing today), we all know what happened with gold markets. In the lead up to the crash, from 2004 to 2008, gold doubled in value. Then, after the initial crash from 2008 to 2012, it doubled again. Despite predictions by mainstream economic naysayers, gold has not collapsed back down to pre-crash levels. In fact, gold has remained one of the most effective investment performers for years. The question is, what happens next? Setting aside gold confiscation as a factor (a factor which I believe would be impossible to enforce in today’s markets), we can see that massive fiat stimulus as a means to artificially support a deflationary fiscal system, as well as central bank intervention in general, leads to collapse and a flight to hard assets like gold. Even with rising interest rates and the potential for a spike in the dollar index, if the rest of the economy is in steep decline, investors and others will still turn towards precious metals. As I have mentioned in previous articles, the initial reaction of gold prices to faster interest rate hikes may be negative. That said, I do not believe gold will drop as dramatically as mainstream economists expect. Once higher interest rates kill the stock market bubble as well as the renewed housing and credit bubble, gold will skyrocket as one of the only asset classes with tangible real world value.